Sometimes it might be possible that you have to run dos command from SQL SERVER. In such situation you have to enable the xp_cmdShell option of sql configuration. Just wanted to share that it can be a security thread as well. So enabling the xp_cmdshell option might be sometime dangerous if we did not handle the SQL injections. Step 3:- Now all the advance option will be available of Surface area Configuration as shown in below figure you can enable disable Xp_CmdShell. 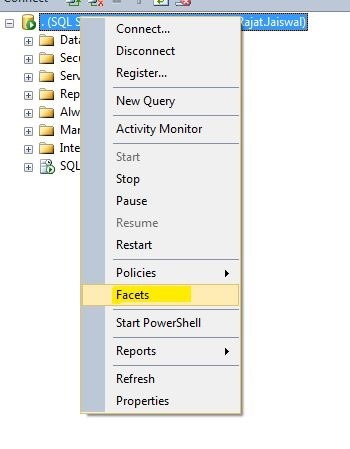 Where is “SQL server Surface Area configuration” in SQL Server 2008 R2 ? Many times you need to do SQL Server related configuration like, CLR enable, Xp_cmdShell, Remote Access etc. I am able to set this configuration in SQL server 2005 using “SQL server Surface Area configuration”. But I was surprised when I did not find this exe in SQL Server 2008 R2. 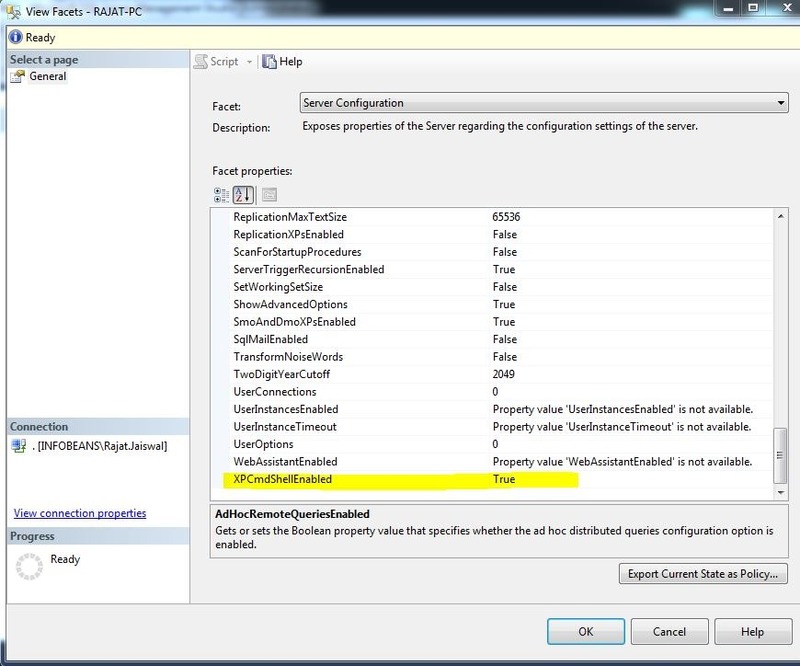 After little research I found how to get this “SQL Server Surface Area Configuration” in SQL server 2008 R2. 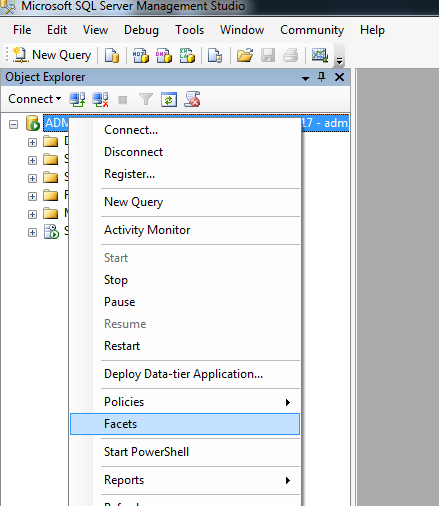 Step 1:- Right click the SQL Server 2008 Server in SQL Server Management Studio. Step 3:- You will get below screen. You just need to select “Surface Area Configuration” option from dropdown. Step 4:- Once you have selected the “Surface Area Configuration “ then you will get following screen. So now it is good to go and configure your setting.